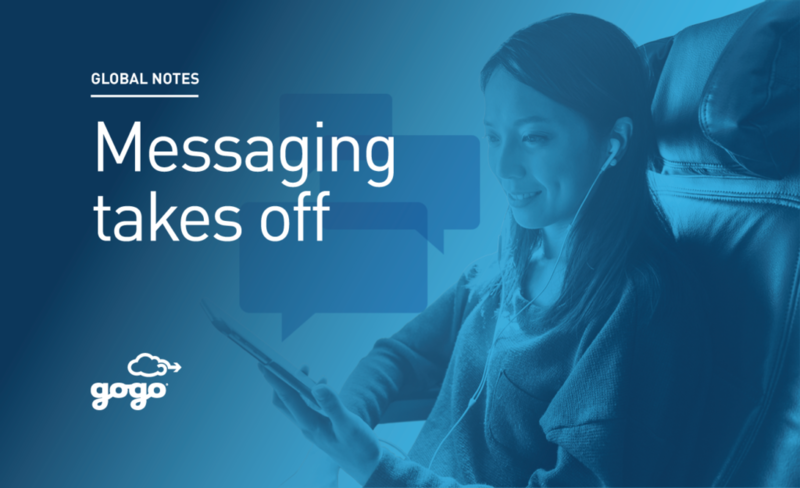 In this edition of Global Notes, part of our ongoing Global Travel Research Series, we explore inflight messaging. This inflight internet-enabled amenity allows passengers to communicate to those on the ground through familiar messaging applications like WhatsApp, Viber, Skype, iMessage, and others. As messaging has become a dominant method of communication on the ground, it’s not surprising that passengers desire this option in flight as well. Some airlines have already recognized the need for this amenity and provide it to their passengers. To learn more about how inflight messaging can impact the passenger experience, click here. The Gogo Global Traveler Research Series is the result of an annual survey of over 9,000 passengers from 18 countries. Earlier this year, we published a full report detailing passenger behaviors, preferences, and expectations for technology, inflight internet, and entertainment. Additional single-topic Global Notes, like this, will be published throughout the year.